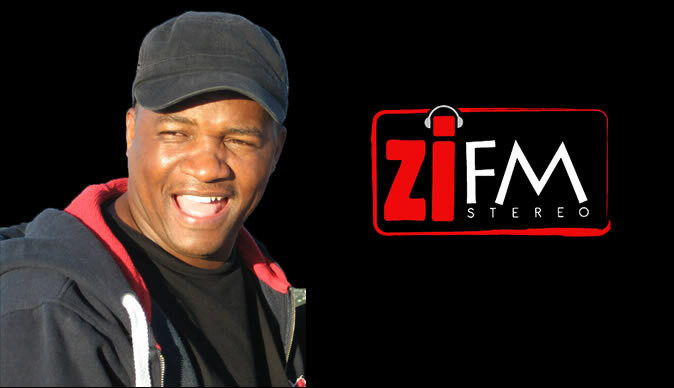 One of Bulawayo's top DJs Gibson Ncube is set to rock the nation tomorrow evening on ZiFM Stereo. Ncube will host a show called The Link "Yo connection to the City of Kings & Queens". Ncube who is not new to Zimbabwean airwaves is popularly known for his 90's ZTV television programmes Teen Scene, Showcase and Art & About. Having worked at ZTV for 6 years, Ncube left Zimbabwe to go and study Audio Visual Communication in South Africa. After completing his course, he was offered an opportunity to further his media studies in London but due to the high tuition fees, Ncube settled for Psychiatric Nursing at London South Bank University. Whilst abroad, he had a short stinct on Choice FM, United Kingdom's biggest Rnb & Hip Hop radio station where he co hosted an African show every Sunday afternoon. Ncube also worked for Voice of Africa Radio, the first African radio station in the United Kingdom to be granted an FM license. On this station he worked with Ezra Tshisa Sibanda and Mthulisi Khuphe. Ncube hosted the 2-4pm show called Work & Happiness and he occasionally hosted the drive time show. Now back in the country, Ncube has been a resident dj at Horizon every Friday and he recently moved into Eden on Thursday nites with his Body & Soul partner Possenti Sikosana (DJ Pasee). Ncube's interest has always been radio and he always wanted to represent the city on one of the country's top radio stations. During his live interview on ZiFM last Saturday evening, he confirmed that he will be doing the Saturday evening slot. The dj said that the aim of the show was to link the rest of Zimbabwe to Bulawayo as well as give the region's musician a platform for their music to be heard. Speaking to Bulawayo24.com Ncube urged the region's musicians to produce quality music that fits within the radio station's broadcasting standards in order for their music to get air play. The DJ said "I've listened to some of the stuff our musicians produce and some of it is just below standard, the content is not ear or radio friendly and in my opinion, it will not be worth listening to, let alone playing it. My aim is to present quality music that will make the nation not doubt our musicians, their production skills and potential. I also want to showcase that the City of Kings & Queens does have talent. Musicians can search for me on Facebook and we can arrange how they can give me their music. All I can say to them is that, if its not up to standard it will not get showcased". Ncube will present his first show tomorrow evening from 6pm-9pm.